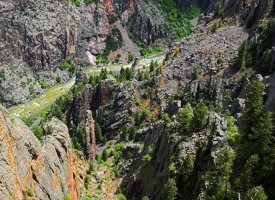 Get critical information, insider tips, and pictures, as well as ideas for where to stay when visiting this national park located in Western Colorado. 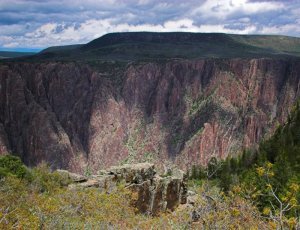 Visit the Official Park Service Black Canyon of the Gunnison National Park site for park (which includes information such as entrance fees). 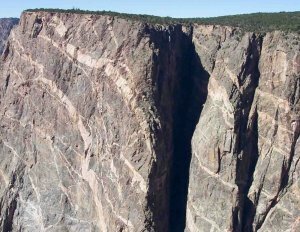 Special advisories: Permits required for all inner canyon routes; available at visitor center and North Rim Ranger Station. 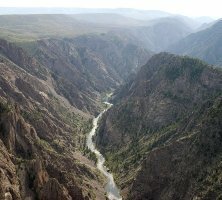 Since at least the beginning of the 20th century, people have tried to explore and tame the Gunnison River, including building dams and a tunnel. Other activities include camping, cross-country skiing, fishing, hiking, kayaking (expert only), picknicking, rock climbing, snowshoeing, and wildlife viewing. The park holds ranger-guided and evening programs in the summer. The National Park Service suggests stopping at the South Rim Visitor Center for additional information, exhibits, introductory film, publications and Junior Ranger program for kids. NORTH RIM CAMPGROUND -- Open from Spring to Fall. 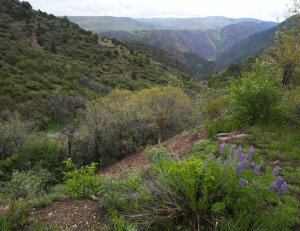 13 sites in Pinyon-Juniper forest with vault toilets, tables and grills. Reserve online. 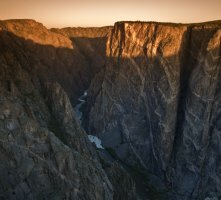 SOUTH RIM CAMPGROUND -- Loop A; open year round. Loops B & C; open Spring to Fall. 88 sites in oak-brush forest with vault toilets, tables and grills. Reservations may be made for South Rim Loops A and B only, and must be made at least 3 days in advance. Reserve online. 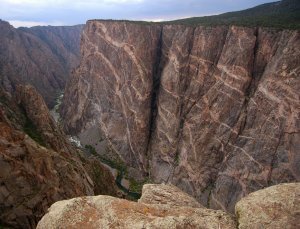 While you're in the area, you might as well see the beauty of the entire Black Canyon by also visiting the Curecanti National Recreation Area and the Gunnison Gorge National Conservation Area.